Kathi’s short story Solitaire, was published in The McGuffin magazine in 2006. 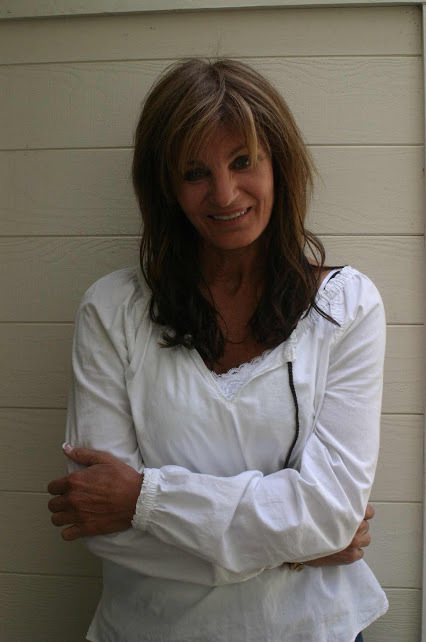 Her short stories Hot Lips and Runners were both accepted for on-line publications in 2005 and 2009 respectively. Kathi writes a monthly email letter, currently in distribution in over four countries. One of those letters, Naked Guy, was published in the Colorado newspaper, The Mountain Connection, in 2013. 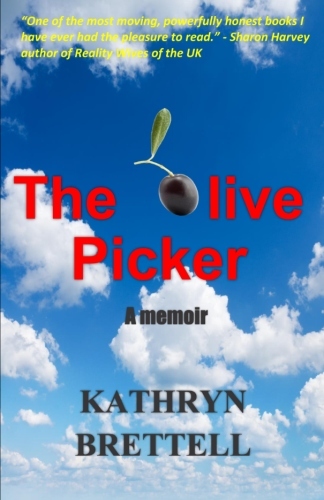 She recently completed a 60,000-word memoir, The Olive Picker, which is now published and available for purchase on Amazon.com and other venues. Kathi lives in both Gurgaon, India, and Conifer, Colorado, where she retired and is pursuing her lifelong love of writing. A.) I started writing short stories about 20 years ago, when I joined two online writing groups. At the time, I wrote only short stories and flash fiction because that was all I had time for. I was working one full time job and a part-time one as well. I moved to India two and a half years ago, and retired, so I took advantage of my newly found free time by writing the book, THE OLIVE PICKER. A.) Editing! Holy cow, I did multiple edits on my own, got at least 20 beta readers, then hired a professional editor, and STILL found the odd missing quotation mark. I read my own story so many times it almost makes me gag to read it again. A.) When I held that first copy in my hands…oh man, I felt, validated. Really validated. A.) Well, you really can’t have one without the other, can you. Story is everything, but if you have an unlikable character, what’s the point? And the reverse is true. A.) It’s hot most of the year in India, so my days consist of staying inside under the AC. I write most days, either my blog, or working on a new novel. When I do get out I meet up with other expats for coffee or lunch, and we shop. Tough day, right?